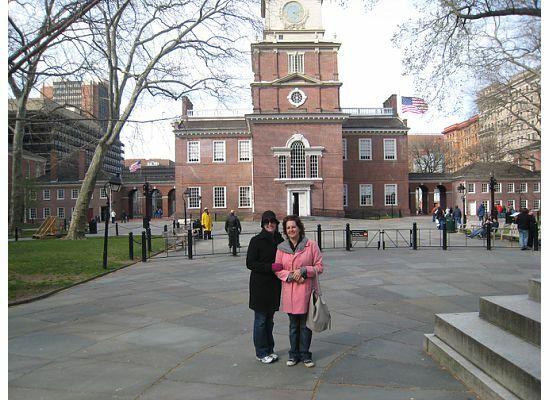 I spent last weekend in fabulous and fun Philly. As you remember in a past post I talked about everyone moving away from sunny California. One of those people was my friend Martha. She moved to Philadelphia to attend Penn. Our dual March birthdays gave me the perfect excuse to go see her! I had a great time and thought I’d share with you some of my observations of this historical US city. * Seriously. Historical. History history everywhere. It is slightly ridiculous. Every 10 or so steps there is another sign explaining why that specific spot is important. I read each one until I realized that would seriously slow us down so I gave up and just started ignoring them like the Philly natives do! * Look a bar. Look a church. Look a bar. Look a church. I’m convinced Philly has the highest bar and church to square foot ratio than any other city in the US. I suppose it is a vicious cycle. Sin – Repent – Repeat. * Go go public transportation. As an LA native I’m always amazed when I visit a city where public transportation is an actual option. It really is brilliant. Philly was no different. Martha had me riding the bus like a champ. Shame on you LA. I often defend everything about you but to this point I have no fire power. Tsk Tsk. * Martha was correct … I was one of the only blondes around. Apparently they don’t ship hair lightener to the PA. Although hand fist in the air for the short hair. No one dared go Wendy short but looking around the short locks are all the rage. Goooooooooooo Phillllllly! * Pabst Blue Ribbon isn’t nearly as gross as you think it would be. * I’d be a million pounds if I lived there as every single bar (and, as I said there is no shortage) has a cheese plate. I ADORE CHEESE PLATES! * I miss Martha! I hope she comes “home” to LA after she gets schooled!